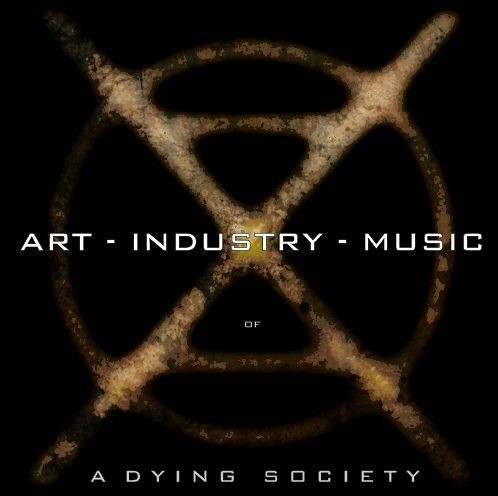 A Dying Society – The Criticism of Industrial Civilization Through Art & Music. Doom "n" Gloom – Near Term Human Extinction. May Nature be Free from Human Greed! The wonderful world of feed the masses! The bison and the indigenous peoples of North America were almost exterminated, in the beginning of the industrial revolution, which brought large scale monoculture and animal agriculture. 250-500 liters per cow per day, x 1.5 billion cows globally is 99 – 198.1 billion gallons. Rough average of 150 billion gallons CH4 globally per day. The Encyclopedia of Earth, “The Causes of Extinction”. Center for Biological Diversity, “How Eating Meat Hurts Wildlife and the Planet”. FAO, “Livestock impacts on the environment”. Niles Eldredge, “The Sixth Extinction”. Mass extinction of species has begun. The Encyclopedia of Earth, “Overgrazing”. UN, “Desertification, Drought Affect One Third of Planet, World’s Poorest People, Second Committee Told as It Continues Debate on Sustainable Development”. A Mood and P Brooke, July 2010, “Estimating the Number of Fish Caught in Global Fishing Each Year”. Up to137 plant, animal and insect species are lost every day due to rainforest destruction. 20 years ago the Amazon lost its strongest advocate. Based on rough average of 30 gallons of water and 90 lbs of feed per day for 1.5 billion cows. 15x more protein on any given area of land with plants, rather than animals. [v] -Dairy Cows, 120lbs of waste per day,x 9 million cows. -Poultry, .25lbs of waste per day, x 10 billion birds. This blog is not an open forum. We all have our differences and my thoughts or what I post is in no way a conclusive representation - I am constantly evolving intellectual and spiritually, and we may not agree on what we have contributed to the effort of revolt, protest or to the anti industrial civilization effort, it is my desire for a free-living existence that inspires me to compile writings as an article for tactical analysis and expression of thoughts. My online activity is not for the recruitment of individuals to any “cause” or “movement” but is intended as a platform for the dissemination amongst conscious individuals who are already in pursuit of freedom and have become engaged in a battle with the existent order and its dying society. I am not interested in debate, I am extremely selective with whom I discuss these matters with. Thank you for reading. I can understand how my ideas may seem ascetic. The goal sometimes seems ascetic because it’s a self-discovery that makes me want nothing, need nothing, have nothing, seek nothing, and yet have everything. This can happen at any moment, while engaging in any activity. Renouncement stirs the spirit every moment of my existence. When such a thing flowers, a deep contentment arises that leads me to asceticism. Not for any moral reason but just because the simplicity is comfortable. Asceticism itself does not lead to the goal. Even that must be dropped. Then and only then will I be filled and then free. Your mind as been colonized. In order for Europe to do what it has done to us—in fact, for Europe to become “Europe” at all—it first had to do the same thing to all of you. In other words, to become a colonizing culture, Europe had to first colonize itself. To the extent that this is true, I find it fair to say that if our struggle must be explicitly anticolonial…yours must be even more so. You have, after all, been colonized for far longer than we, and therefore much more completely. In fact, your colonization has by now been consolidated to such an extent that….you no longer even see yourselves as having been colonized. The result is that you’ve become self-colonizing, conditioned to be so self-identified with your own oppression that you’ve lost your ability to see it for what it is, much less to resist it in any coherent way. Chief Big Soldier of the Osage of the Missouri region. “I see and admire your manner of living, your good warm houses; your extensive animal agriculture, your fields of monoculture, your gardens, your cows, oxen, workhouses, wagons, and a thousand machines, that I know not the use of. I see that you are able to cloth yourself, even from your industries. In short you can almost do what you choose. you whites possess the power of subduing almost every animal to your use. you are surrounded by slaves. Everything about you is in chains and you are slaves your selves. I fear if I should exchange my pursuits for yours I too should become a slave”. A People's History Of The United States by Howard Zinn This great book should really be read by everyone. It is difficult to describe why it so great because it both teaches and inspires. ALF – Animal Liberation Front The ALF Credo and Guidelines — Who we are, what we do. AnimalRightsHistory.Org promotes and facilitates: access to information, humane education, literary research and the preservation of historical literature on animal rights, animal welfare, and the protection of animals. Bite Back Magazine Bite Back is a 36 page magazine, full of direct action reports, prisoner news, stories, photos and much more. Get your copy today! Primitive Ways “Primitive (first) skills are our shared inheritance. It is the shared thread which links us to our prehistory and binds us together as human beings.” Quotes by Steve Watts Knowledge is not complete until it is passed on. Rising Tide Vancouver Coast Salish Territories Basis of Unity Rising Tide: Vancouver Coast Salish Territories is a grassroots environmental justice group committed to fighting the root causes of climate change and the interconnected destruction of land, water and air. Sub Media TV subMedia’s answer to “the Daily Show”. A snarky look at the news, activism, political music, interviews and tips for surviving the coming Armageddon. Run to the hills! The Anarchist Library is (despite its name) an archive focusing on anarchism, anarchist texts, and texts of interest for anarchists. Within the scope of our use of the term “anarchism” we have been quite broad, but broad does not mean infinite. Ward Churchill A prolific American Indian scholar/activist, Ward Churchill is a founding member of the Rainbow Council of Elders, and longtime member of the leadership council of the American Indian Movement of Colorado.